I honestly don’t remember how I ever was able to photograph without an L-Plate. Yes, I’m being overdramatic… But my point is that it’s an accessory that has become important to me. In fact, I’ve had an L-Plate connected to my cameras ever since purchasing my first one several years ago. 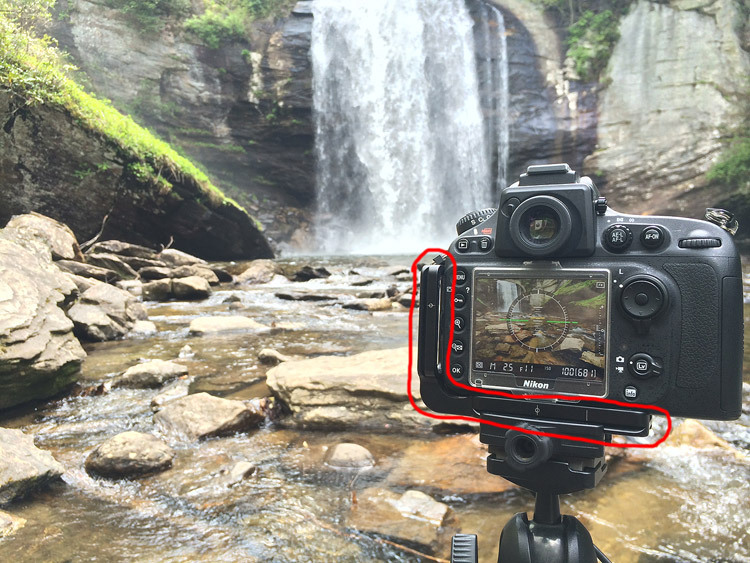 An L-Plate makes it easy to switch between horizontal and vertical orientation without it affecting the composition. It also centers the weight above the tripod when shooting vertically so you don’t have to worry about imbalance or movement in the ballhead due to the side weight. You don’t need to get the most expensive version but I strongly recommend avoiding plastic versions. There are many good options on Amazon that might be a good fit for you. I currently use an RRS L-Plate; it’s quite expensive but I’ve had it for the last 4 years. That brings us to the third must-have equipment for landscape photography: a sturdy tripod. You might not always use one but there’s no doubt that you should have one available. Using a tripod opens a lot of doors and allows you to get more creative with the shutter speed and explore new techniques such as long exposure photography.